"Great for release. I love this product. It's perfect for rolling down the back to get to pressure points. It really gets some of those tight muscles to relax and let go." - Rachael Phalanges The Back Roller is an excellent device for massaging the spinal column. This is the descendent of the original Ma Roller which was developed over 30 years ago. The new rubber rings stabilize the rolling action making it easier to control your movements. By giving a gentle stretch to the spine and a deep massage to the antigravity muscles in the back, the Backroller stimulates three fundamental lines of energy known to every ancient culture around the world. These three lines represent the very core of the man - both conscious and unconscious functions. Did you know that the feet have the highest concentration of nerve endings in the body? The Foot Roller massager activates pressure points releasing healing energy to regenerate the feet and benefit the whole body. The Foot Roller massages and soothes sore and tired feet, stimulates circulation and makes the entire body feel good. Made of natural wood. Features: Body care roller beautiful curve adjustment wheel type Body Massage, the stick-like design, can be free of soft material with a bending of the massage rollers protruding particles. And stimulate the skin, either arm, waist, legs or thighs and other parts can be rolling massage service closely paste! This Body Care Roller increase blood circulation, and massage deeply and gently. 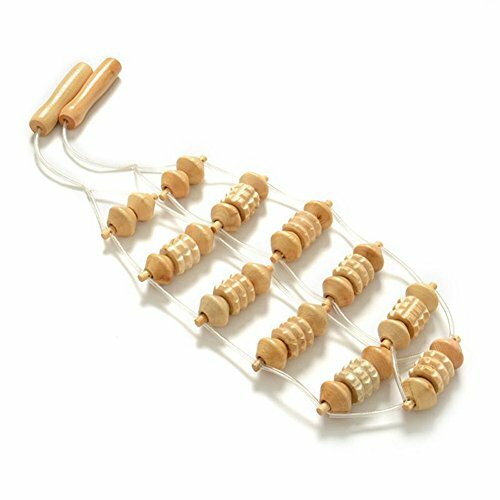 Against the back, legs, arms, waist and other parts of the strengthening roller massage, relax tense muscles Material: High quality log Wood Roller Number: 9 Size: 99 cmx 8cm Package Included: 1 X Massager NO Retail Box. Packed Safely in Bubble Bag. 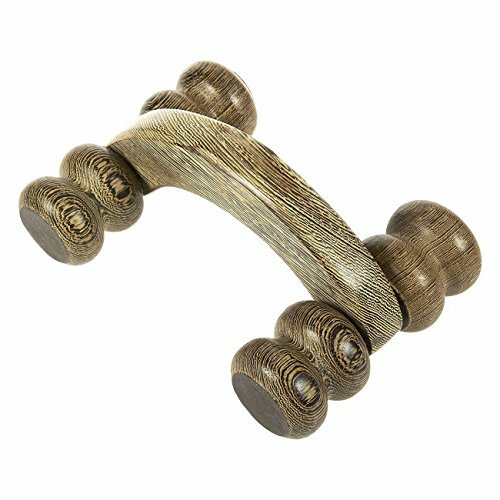 Wooden Hand Massager for Body Stress Acupressure Arm Care, Body Massager applies point pressure where needed and is surprisingly effective. Massage is done in vertical and horizontal motions. It will increase blood circulation , ease the stress on your back and loosen up those tired nerves and make you feel relax. 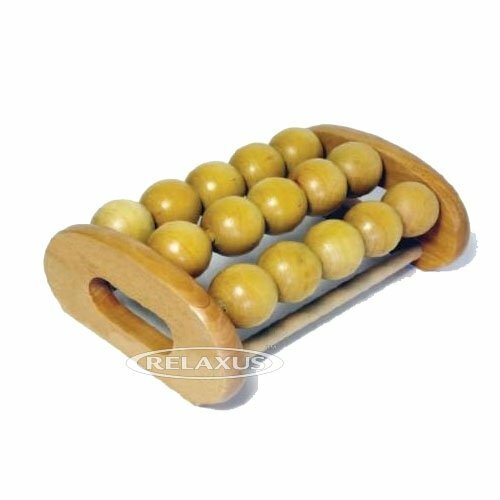 The Amazing Foot Massage Roller is a very unique abacus style tool. 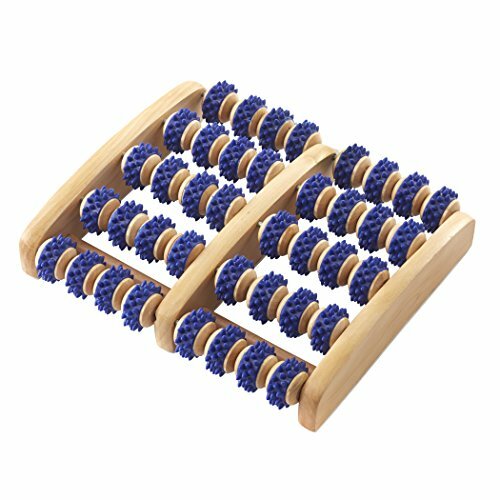 Each of the 40 rollers have a soft rubber spiked ring, which helps massage, stimulate, and soothe. It is designed to massage all the delicate reflexology points in your feet. It's great for plantar fasciitis! Treat yourself or a loved one today. You won't know how you managed without this wonderful tool! Looking for an easy way to self-massage? 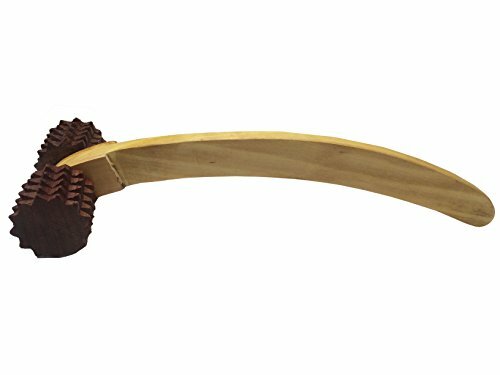 This high-quality wooden massager has wheels that can dig deep to provide muscle relief. Wheels allow easy movement back and forth. At 6.5 x 4.5 x 2.7 inches, it's larger and sturdier than similar massagers on the market. 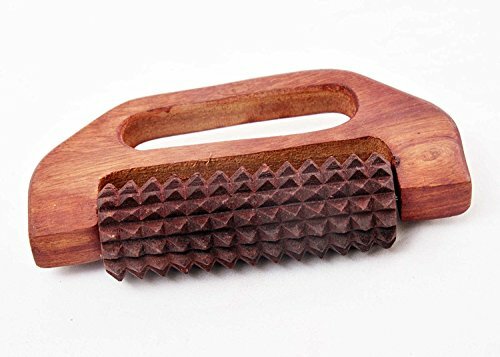 Looking for more Wooden Body Roller similar ideas? Try to explore these searches: Acrylic Wine Cooler, Teal Wave, and Rear Brake Hub Assembly. 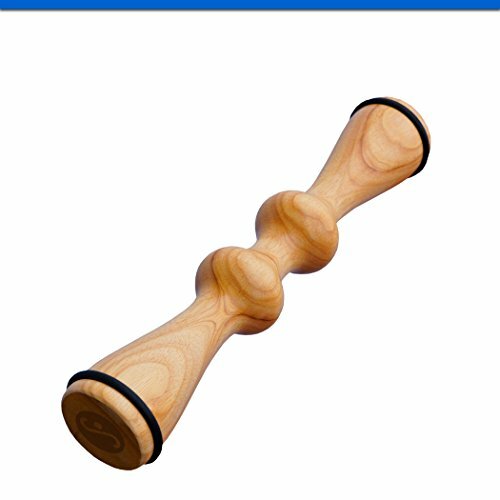 Look at latest related video about Wooden Body Roller. Shopwizion.com is the smartest way for online shopping: compare prices of leading online shops for best deals around the web. 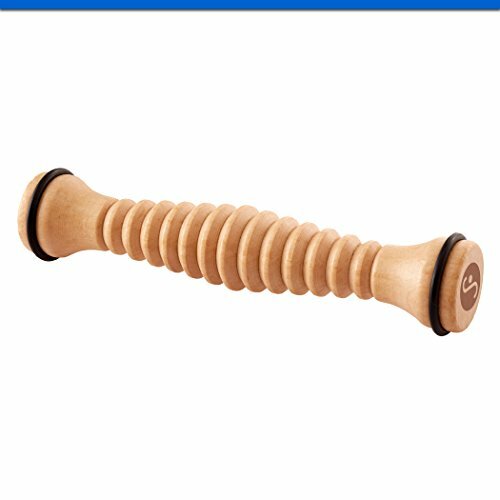 Don't miss TOP Wooden Body Roller deals, updated daily.